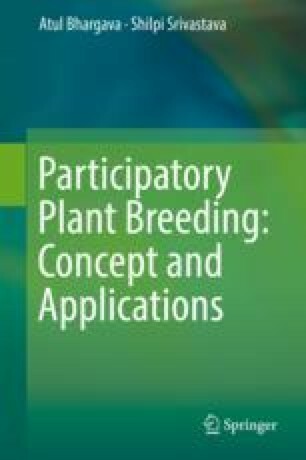 Participatory plant breeding overcomes the limitations of classical plant breeding since it treats the farmers as partners and allows them to decide which varieties are more appropriate for them by having a better say in the selection progress. This breeding methodology is highly desirable in situations where farmers are generally less served by formal breeding programs. PPB offers advantages like it saves time, improves farmer seed systems and seed provision to small-scale farmers, enhances biodiversity, improves research, and accelerates adoption by the farmers. It enhances the farmers’ organizational and social capital, as well as individual farmers’ knowledge and skills and capacity to learn and experiment. In spite of limited involvement, rural women seem to have derived the maximum benefits from the PPB approach leading to gender empowerment. However, protagonists argue that inclusion of participatory approaches would increase complexity and lead to increase in time and cost due to aspects like training of farmers, more exhaustive testing of varieties, requirement of large amount of seeds, conduction of trials outside the experimental fields, and requirement of diverse manpower to effectively communicate with farmers.